WASHINGTON—President-elect Donald Trump, a harsh critic of U.S. intelligence agencies, is working with top advisers on a plan that would restructure and pare back the nation’s top spy agency, people familiar with the planning said. 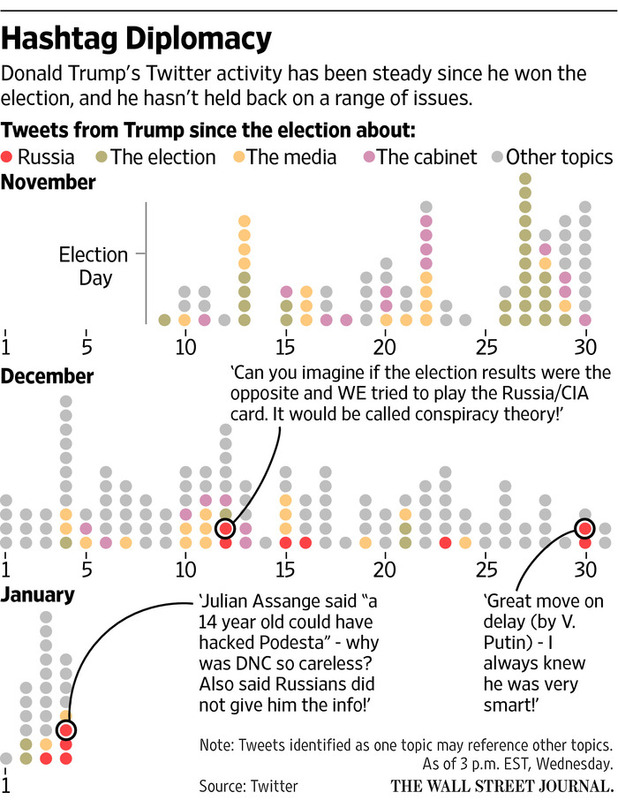 The planning comes as Mr. Trump has leveled a series of social-media attacks in recent months and the past few days against U.S. intelligence agencies, dismissing and mocking their assessment that Russia stole emails from Democratic groups and individuals and then provided them to WikiLeaks for publication in an effort to help Mr. Trump win the White House. In Twitter posts on Wednesday, Mr. Trump referenced an interview that WikiLeaks editor-in-chief Julian Assange gave to Fox News in which Mr. Assange denied Russia had been his source for the thousands of emails he published that had been stolen from Democratic organizations and Hillary Clinton advisers, including campaign manager John Podesta. Mr. Trump has drawn criticism from Democratic and Republican lawmakers and from intelligence and law-enforcement officials for praising Russian President Vladimir Putin, for criticizing U.S. spy agencies, and now for embracing Mr. Assange, long viewed with disdain by government officials and lawmakers. But for Mr. Trump and some supporters, the accusations that Russia hacked Democrats are seen as an effort to delegitimize his election. This stands in contrast with his posts on other issues and countries, such as North Korea or China, where his views on national security risks line up more squarely with U.S. spy agencies. The Office of the Director of National Intelligence was established in 2004 in large part to boost coordination between intelligence agencies following the Sept. 11, 2001, terror attacks. 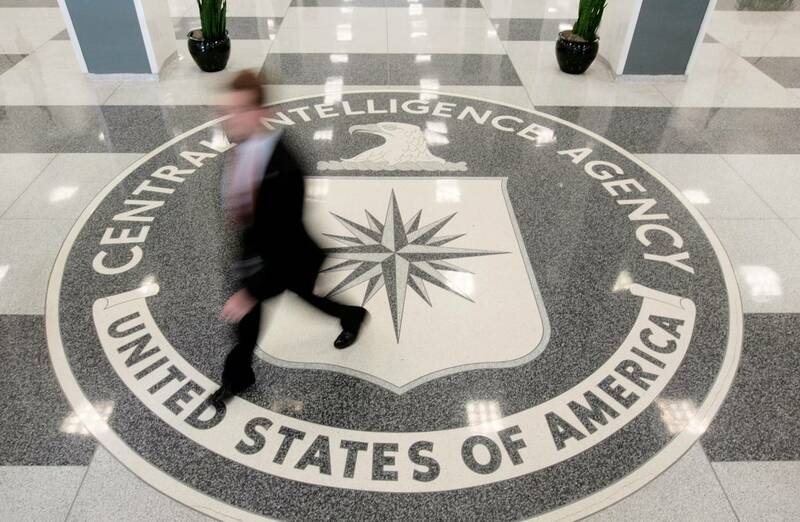 Lawmakers and intelligence experts in the past have proposed cutting or restructuring the ODNI. The President’s Intelligence Advisory Board, a White House panel, recommended in a classified report in 2010 that the agency be downsized and closely focused, according to the Congressional Research Service. The report didn’t result in legislation. Officials said change has proven difficult in part because its mission centers are focused on core national security issues, such as counterterrorism, nuclear proliferation, and counterintelligence. “The management and integration that DNI focuses on allows agencies like the CIA to better hone in on its own important work,” said Rep. Adam Schiff (D., Calif.), the ranking Democrat on the House intelligence panel, who believes dismantling the ODNI could lead to national security problems. Mr. Trump’s advisers say he has long been skeptical of the CIA’s accuracy, and the president-elect often mentions faulty intelligence in 2002 and 2003 concerning Iraq’s weapons programs. But his public skepticism about the Russia assessments has jarred analysts accustomed to more cohesion with the White House. Top officials at U.S. intelligence agencies, as well as Republican and Democratic leaders in Congress, have said Russia orchestrated the computer attacks on the Democratic Party last year. President Barack Obama ordered the intelligence agencies to produce a report on the hacking operation, and he is expected to be presented with the findings on Thursday. Russia has long denied any involvement in the hacking operation, though Mr. Putin has said releasing the stolen emails was a public service. The heads of the CIA, Federal Bureau of Investigation and DNI James Clapper are scheduled to brief Mr. Trump on the findings on Friday. Mr. Trump tweeted late Tuesday that this meeting had been delayed and suggested that the agencies still needed time to “build a case” against Russia. White House officials said Mr. Trump will be briefed on the hacking report as soon as it is ready. Among those helping lead Mr. Trump’s plan to revamp the intelligence agencies is his national security adviser, Lt. Gen. Michael Flynn, who had served as director of the Defense Intelligence Agency until he was pushed out by Mr. Clapper and others in 2014. Also involved in the planning is Rep. Mike Pompeo (R., Kan.), whom Mr. Trump selected as CIA director. Gen. Flynn didn’t respond to a request for comment on Wednesday, and Mr. Pompeo declined to comment. Gen. Flynn and Mr. Pompeo share Mr. Trump’s view that the intelligence community’s position—that Russia tried to help his campaign—is an attempt to undermine his victory or say he didn’t win, the official close to the transition said. Gen. Flynn will lead the White House’s National Security Council, giving him broad influence in military and intelligence decisions throughout the government. He is also a believer in rotating senior intelligence agencies into the field and reducing headquarters staff. Current and former intelligence and law enforcement officials have reacted with a mix of bafflement and outrage to Mr. Trump’s continuing series of jabs at U.S. spies. “They are furious about it,” said one former senior intelligence official, adding that a retinue of senior officials who thought they would be staying on in a Hillary Clinton administration now are re-evaluating their plans following Mr. Trump’s election. Current and former officials said it was particularly striking to see Mr. Trump quote Mr. Assange in tweets. “It’s pretty horrifying to me that he’s siding with Assange over the intelligence agencies,” one former law-enforcement official said. Paul Pillar, a 28-year veteran of the CIA who retired in 2005, said he was disturbed by Mr. Trump’s tweets and feared much of the intelligence community’s assessments could be filtered through Gen. Flynn.